Hooray for Valentine’s Day! 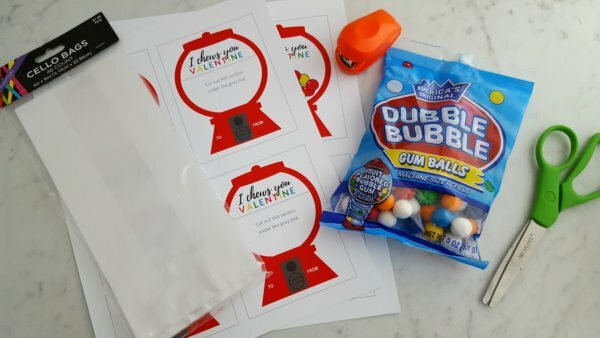 We are all ready to celebrate this year with some super fun DIY Gumball Machine Valentines! Why do we love these Valentines? For starters, they’re super cute. Next up, they are SUPER easy to put together. 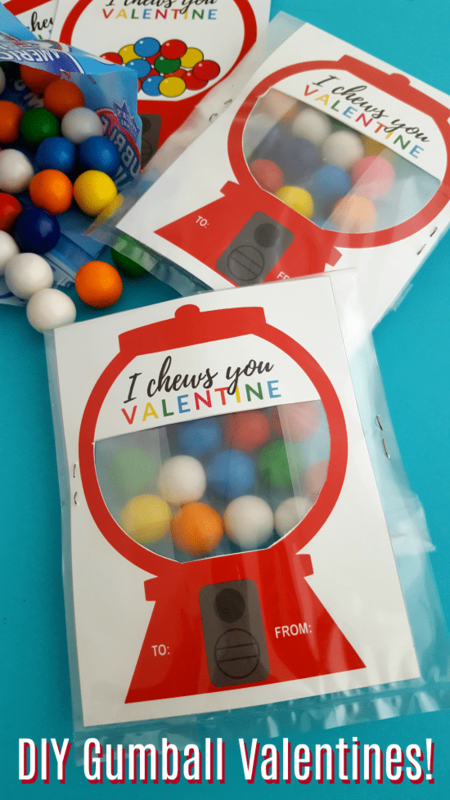 AND by adding some gumballs, it’s a valentine and a treat all in one! 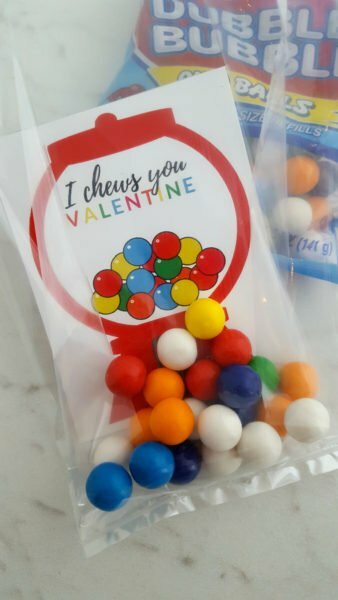 We have two options of how to make this gumball valentine. The first (and our favorite) is to use heavy cardstock to print out the gumball machine and cut away the “glass” area to reveal the real gumballs behind it. 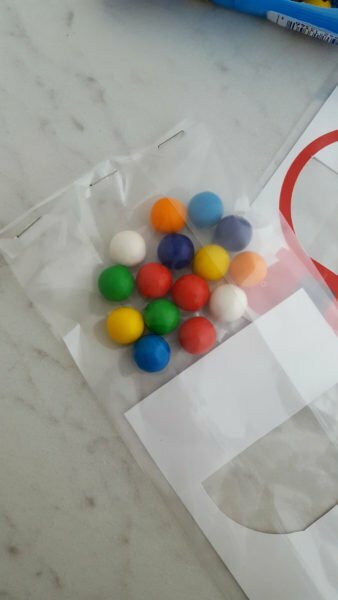 If you don’t want to do that part, however, you can print our second option which has a drawing of gum balls. You could use regular copy paper for that version in a pinch, but just a warning it won’t be a very sturdy valentine! Step 1: Use scissors to cut along the outer edge of the grey square border on each valentine. Step 2: Slightly bend the center of the valentine where it says “cut out this section under the grey line,” and make a cut. Push the scissors through that center cut and cut out the center section. Step 3: Write names in the “To” and “From” section. Step 4: Place the valentine in a treat bag. 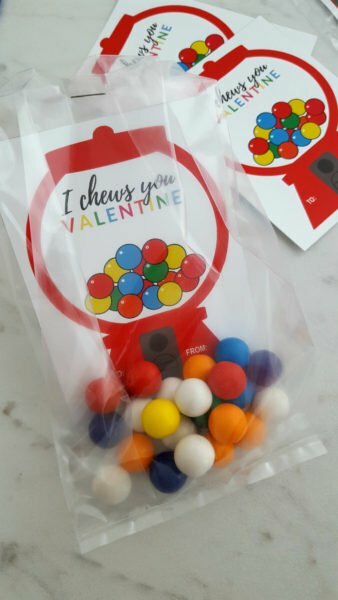 Turn the valentine over face down and place fifteen or so small gumballs inside at the top of the bag. Step 5: Fold over just the very top edge only and staple three times (left, right and center). 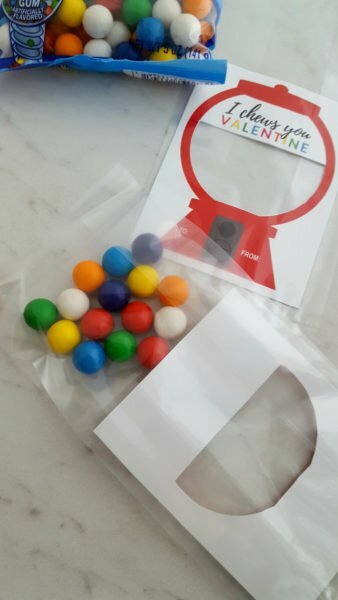 Step 6: With the gumballs pushed all the way up to the top, place your hand over the valentine and use your other hand to fold down the top section, including the gumballs. 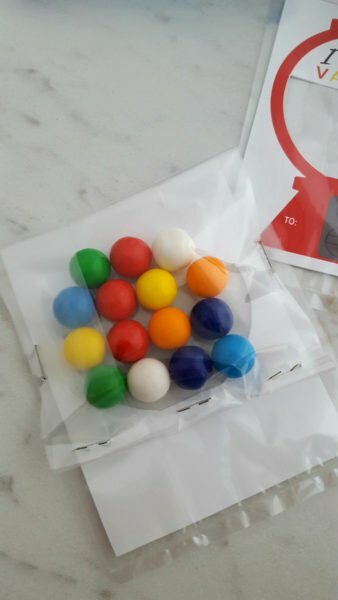 The gumballs should now be directly behind the section that was cut out. Staple once on each side of the valentine (left and right) to secure the bag of gumballs in place. Step 1: Cut along the grey square border. Step 2: Place the valentine in a treat bag. Fill the bag with fifteen or so small gumballs. Step 3: Secure the bag either by stapling the top or by using a hole punch and running a ribbon through the hole, then tying a bow to complete. Remember to fill out the “To” and “From” sections! OMGoodness this is so cute! I am going to create this for my grandkids what a cool idea and hey, who doesn’t like gum! I may even do this for my daughters classroom! Those turned out so so cute! I bet they will be a huge hit with the friends who receive them! Such a fun idea. Those are probably the best homemade Valentine’s Day cards I have ever seen. Where on earth did you get the inspiration? These are super cute! 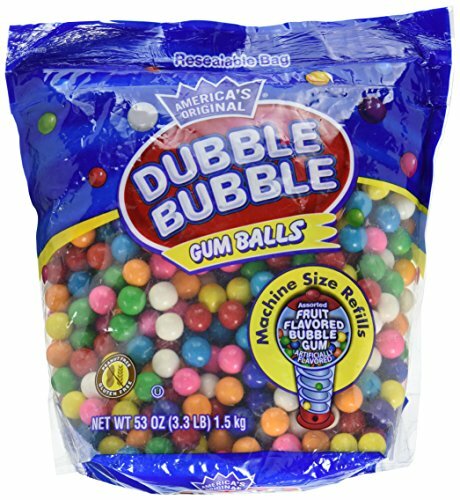 I totally want to chew some gumballs right now! What a cute idea! I wish I had kids still in grade school to make these for their parties! This is such a cute Valentine idea. My grandsons would like this. This is a great idea that I need to share with my niece. She loves doing projects like this. Thanks for sharing. These are so cute. I love everything about Valentine’s Day! 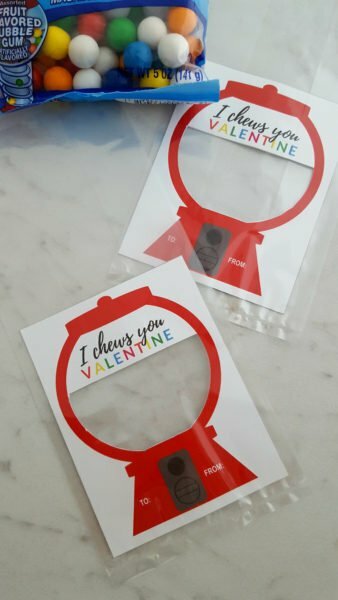 These are the cutest, most clever Valentines! I am totally going to make these for my daughters school next year! This is so cute! 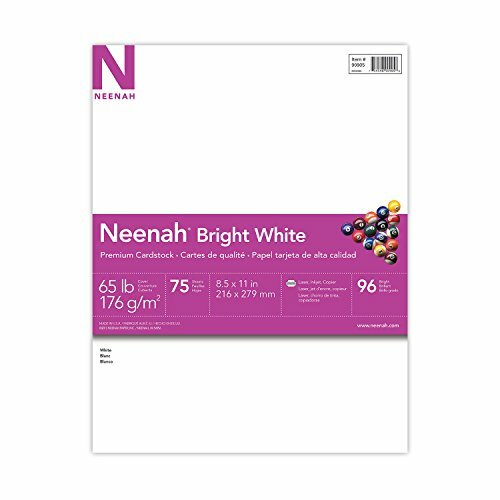 This reminds me of my wedding invitations except they were confetti. This is super cute, and creative! I would love to make these with my nieces. These are so cute. 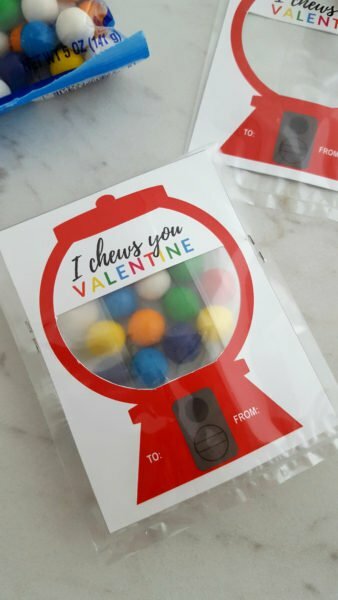 I think my girls will be excited to make and give these on their next Valentines Day.